Weapon and base in this kit are huge and probably take over half of the postage costs. 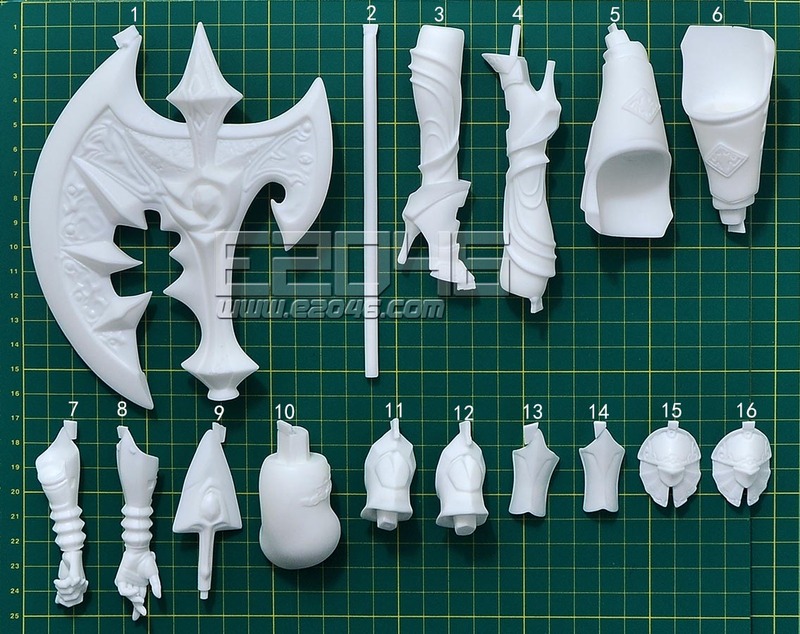 The castings are very good in the usual white resin and all pieces fit well with very little effort and putty. You are going to need the brass pinning on this kit. Great cast , the hair needed to be Re sculpted a bit for a nice fit with zero line issues :D very happy with purchase will purchase more in future. A wickedly fabulous figure! She will look fabulous assembled and painted and sitting in my display cabinet! An awesome addition to my collection! Mi segunda compra y aún mejor que la primera! Llegó antes y la figura es genial!! // My second purchase and even better than the first! It arrived before and the figure is great! Quality good cast :) very detailed. This kit is always That I wanted. Great kit, printer without defects. Top quality as always. 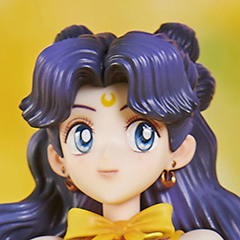 The figurine is good again but the shipping address was an old one... how? I have deleted any other address in my acc, so please use my new address. thank you and keep to good work. 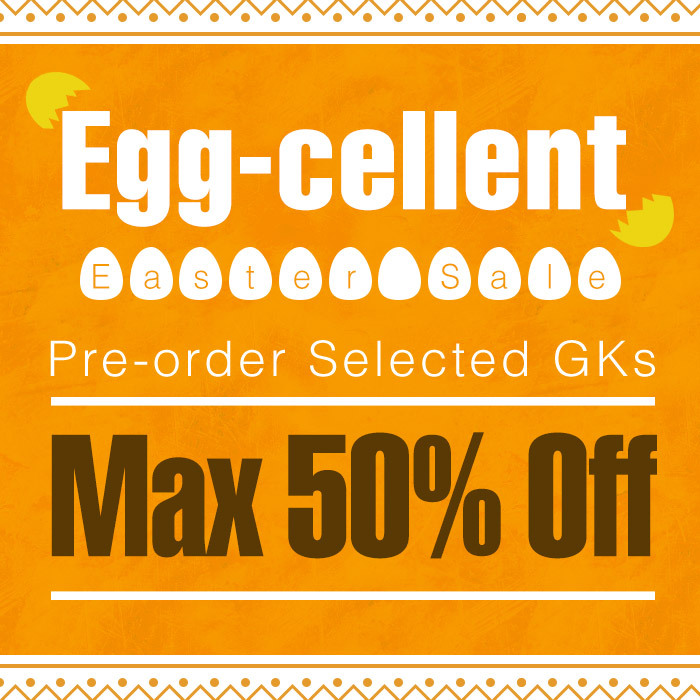 Very nice GK. Quality parts. I've been waiting for this kit for a while and I am very happy to have it! Beautiful figure! Nice casting, nice fit and very little cleanup work to be done. One of the best figures I've purchased to date. Thanks E! One of the most beautiful kits out there! The axe handle is warped so I am substituting a brass rod but amazing castings as usual. Will paint her very soon! her weapon is really big o.O but very nice cast. Beautiful figure. Sculpt is stunning. Fine details. The weapon is really huge. The display base is a great plus. Hope more kit of the castanic race from tera will come out in the future. Really beautiful kit. Arrived safely, but as is usually the case with kits containing any sort of weapon, the staff portion is a bit warped, but easily fixed. A worthwhile addition to a fantasy collection. Summary: Stunningly beautiful kit, good design and quality casting. A real work of art. Cast Quality: perfect cast - can't find a single flaw. Cons - excessive amount of large tabs to cut and smooth, but in good places at least. Shipping: three weeks and one day to arrive in USA from the time of order. Patience is required for this hobby and vendor. Packaging: they obviously put a lot of effort into packaging, but not totally successfully; the heavy base still arrived broken and protruding edges were clearly not padded appropriately; the broken pieces were all in one plastic bag making it easy to glue back together. Instructions: they are useless - this kit contains some small and very similar pieces and it is unclear where they go from the instructions. Not a big problem with the gallery and WIP pages showing this model on their site. Customer Service: very nice and attentive staff makes shopping here a pleasure. You decide. Perfect package like always. All pieces are undamaged, some minor work to clean them. The assembly is easy and the result is awesome. 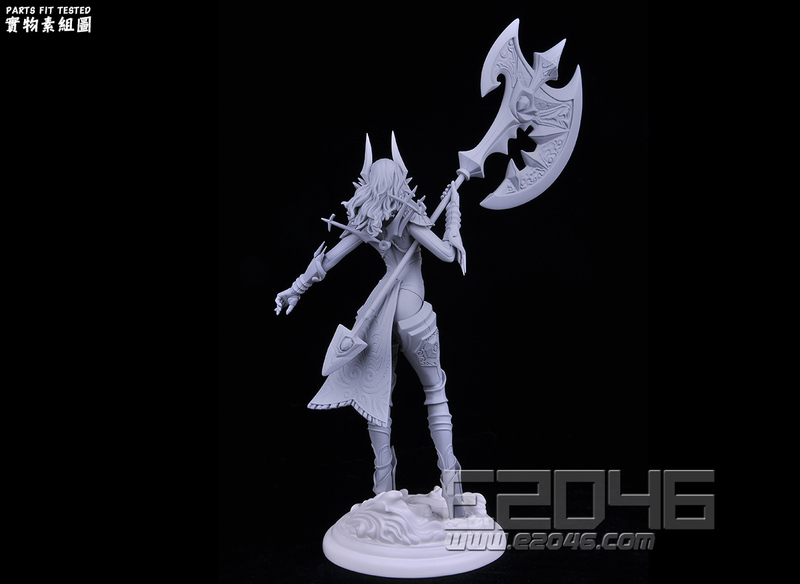 the Castanic Berserker is a very high detailed model kit, a must buy for all Tera fans. Thanks E2046! Wonderfuly cast and beautiful model. Fantastic Kit, It was bigger than what i anticipated. Nicely done. 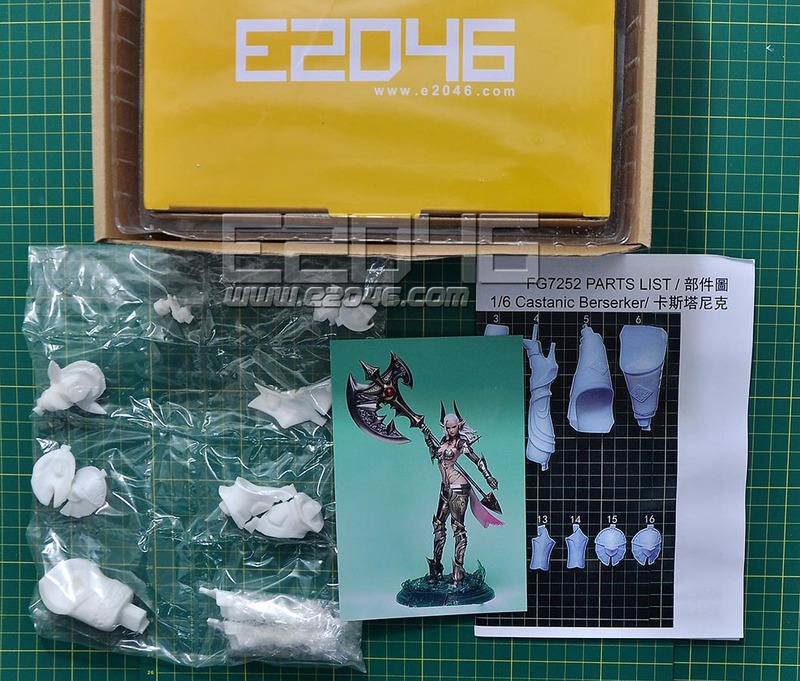 Received, like the new packaging (again).... though one protrusion of the figure's base still broke. Good product... but... There are some issues. The right thumb is twice larger than the one on the left hand. So i have to cut it and re size it. The hair doesn't fit at the head and needs a lot of work to fit. Also a small part at the hair is broken and i have to create it. The small part of hair that falls in front of the face doesn't have any fitting place, so i have to figure out where is his best position. Over all is a great model but needs expert skills. Outstanding cast with great details. Just a few seams and flashes, but easy to work on. Nothing's broken and/or missing and packing was good as always. She's huge, especially her halberd. It will be fun to paint this lady.